NEW YORK -- Advances in treating childhood cancer are paying off with a continued decline in death rates. Child's leukemia treatment could be "a huge step forward"
There are still more new cases of leukemia each year than new cases of brain cancer, but it no longer accounts for the most deaths. That’s due to advances in leukemia treatment over the past few decades and because leukemia is easier than brain cancer to treat, experts said. “Some types of leukemia that a generation ago were almost universally fatal are now almost universally treatable,” said Curtin, a statistician who worked on the report. “Immunotherapy, cell therapy – these are now going to be brought to bear to improve on this progress such that we expect continued steady decline in deaths from childhood cancer,” he said. 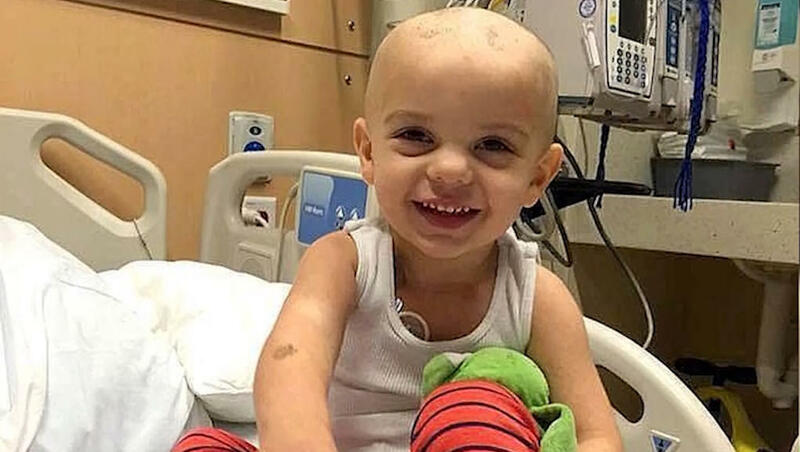 Three-year-old Aiden Kramer is one child who has benefitted from improved cancer treatment. Less than a year ago, he was in the hospital battling leukemia, but after five months of chemotherapy, he is now cancer free. Though he still faces a high chance of relapse, his family remains hopeful. The brain is protected by a barrier that helps keeps many dangerous chemicals – including many cancer drugs – from getting to brain tissue or brain tumors. Surgery is difficult and sometimes impossible, depending on where the tumor is located in the brain. Radiation treatment can damage the development of a child’s brain. “There’s survival, and then there’s survival at a price,” said Dr. Katherine Warren, an expert in pediatric brain tumor research at the National Cancer Institute.